Easy to put up No need for nails or screws. Holds on strongly while allowing easy release and capture of wires. Easy to remove innovative stretch release technology leaves no surface damage! Holds cord diameters up to 32mm. A unique way to organise bundles of cords and hang them tidily out of the way. 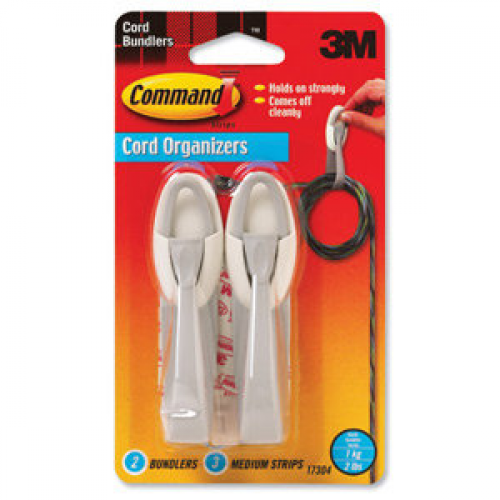 Each pack contains 2 bundlers and 3M Command strips.